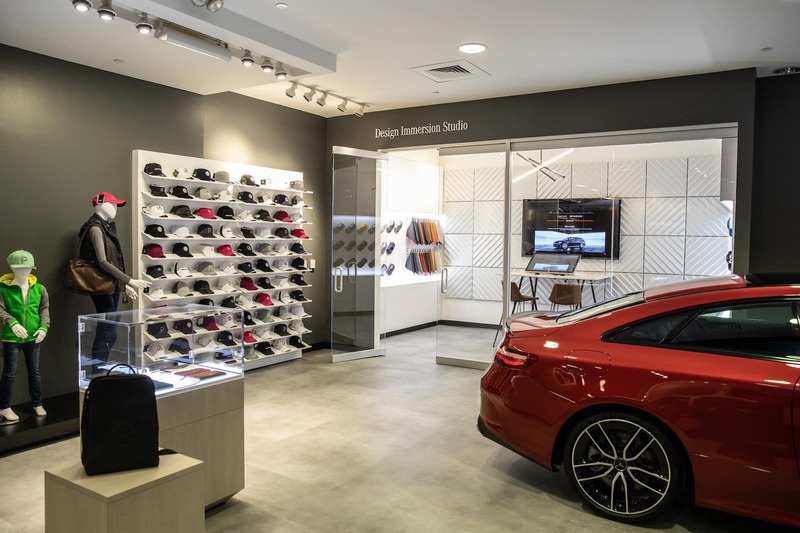 Now through May 26th, receive up to $1,000 in vehicle incentives at Mercedes-Benz of Foothill Ranch when visiting the Mercedes-Benz Brand Experience Pop-Up Center at South Coast Plaza. Experience the all-new 2019 Mercedes-AMG® GT 4-Door and the 2019 Mercedes-Benz A 220 Sedan. Shop Official Mercedes-Benz apparel, accessories, gifts and more. Configure your dream Mercedes-Benz with an MBUSA product specialist in the Design Immersion Room. Virtually drive an AMG® in a VR Racing pod. The Mercedes-Benz pop-up store is located between See’s Candies & Sugarfina in South Coast Plaza. Receive $500 incentive for GLA, CLA and A-Class. Receive $1,000 on all other Mercedes-Benz models except 2019 G-Class and GT 4-Door Coupes. Available for qualified customers only. ^ Complimentary gift valued at $20. Must test drive a Mercedes-Benz by May 26, 2019. See Mercedes-Benz of Foothill Ranch for details.